It’s day eight and despite fighting off this horrible cold and having a time limit today, I STILL was able to finish my painting! 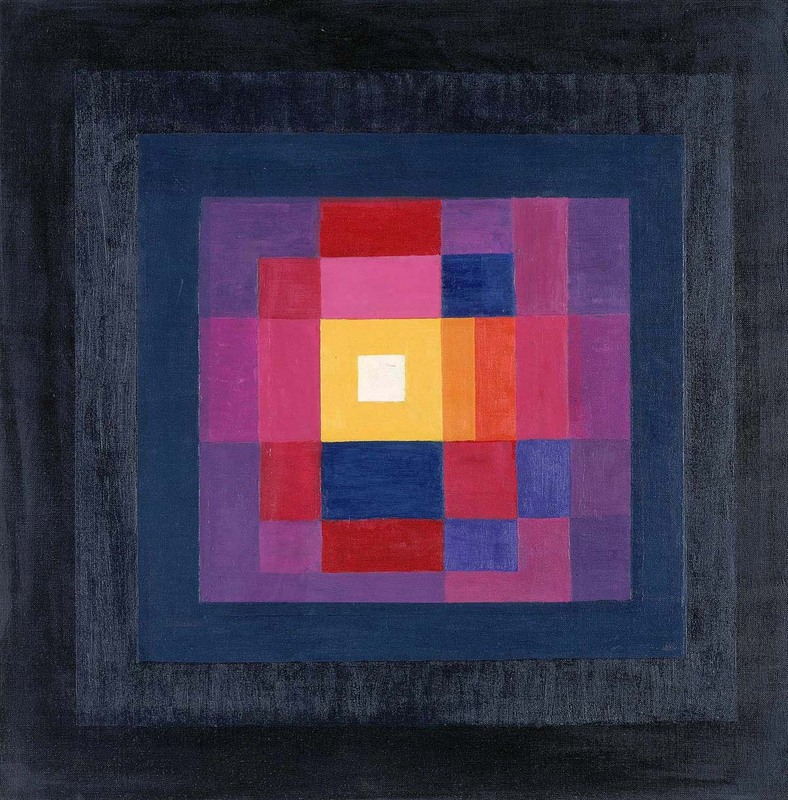 Today I pay tribute to Johannes Itten! Today will definitely be a day where I borrow information (yet again) from wikipedia…hopefully, I don’t do it for all artists, but I can’t make any promises. Sometimes I feel like I’m writing a paper! 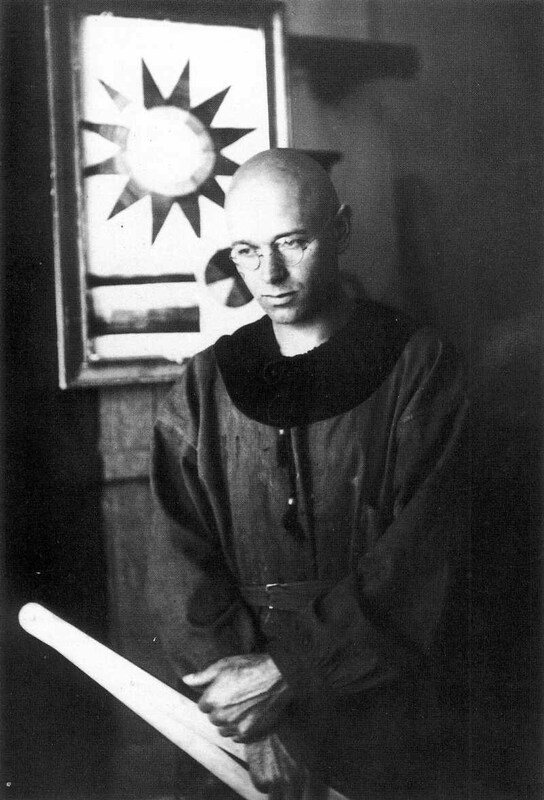 Johannes Itten- Looking pretty awesome. architect Walter Gropius, Itten was part of the core of the Weimar Bauhaus. He was born in Südern-Linden, Switzerland. From 1904 to 1908 he trained as an elementary school teacher. Beginning in 1908 he taught using methods developed by the creator of the kindergarten concept, Friedrich Fröbel, and was exposed to the ideas of psychoanalysis. In 1909 he enrolled at the École des Beaux-Arts in Genevabut was unimpressed with the educators there, and returned to Bern. Itten’s studies at the Bern-Hofwil Teachers’ Academy with Ernst Schneider proved seminal for his later work as a master at the Bauhaus. 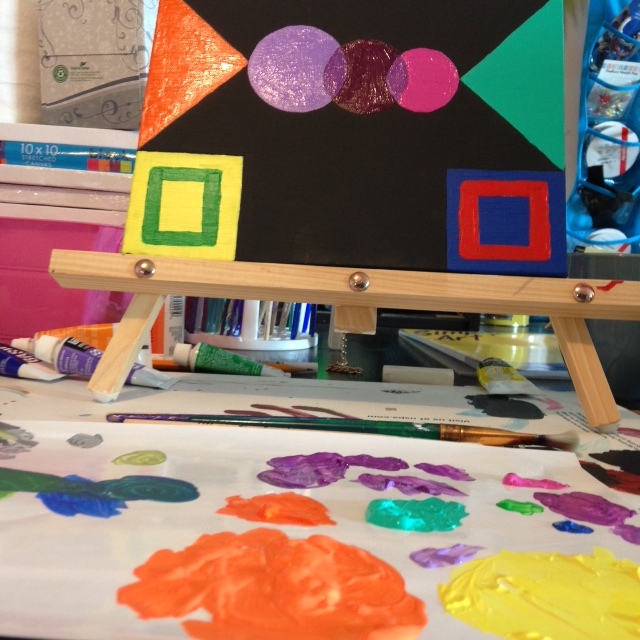 Itten adopted principles espoused by Schneider, including the practice of not correcting his students’ creative work on an individual basis, for fear that this would crush the creative impulse. Rather, he selected certain common mistakes to correct for the class as a whole. In 1912, he returned to Geneva, where he studied under Eugène Gilliard, an abstract painter. line, the plane, the circle, the spiral) as a means from which to begin creation, and the use of gymnastic exercises to relax his students and prepare them for the experiences that were to occur in the class. From 1919 to 1922, Itten taught at the Bauhaus, developing the innovative “preliminary course”which was to teach students the basics of material characteristics, composition, and color. 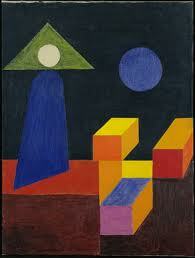 In 1920 Itten invited Paul Klee and Georg Muche to join him at the Bauhaus. 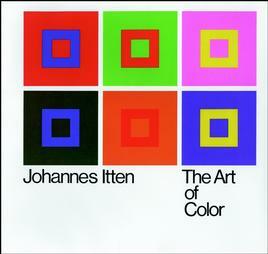 He also published a book, The Art of Color, which describes these ideas as a furthering of Adolf Hölzel’s color wheel. 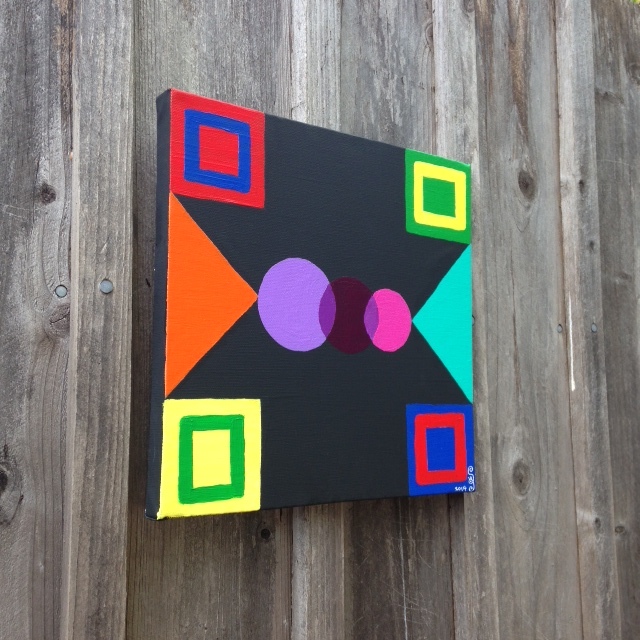 Itten’s so called “color sphere” went on to include 12 colors. 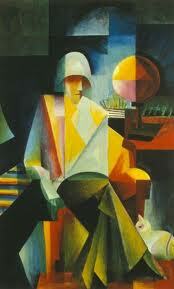 In 1924, Itten established the “Ontos Weaving Workshops” near Zurich, with the help of Bauhaus weaver Gunta Stölzl. to 1934 he had a small art and architecture school in Berlin, in which Ernst Neufert, the former chief-architect of Walter Gropius at the Bauhaus, taught as well from 1932 to 1934. 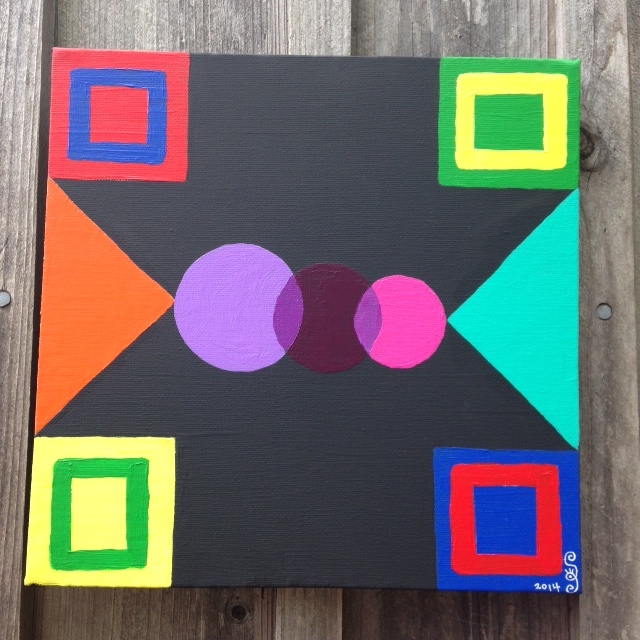 Itten’s works exploring the use and composition of color resemble the square op art canvases of artists such as Josef Albers,Max Bill and Bridget Riley, and the expressionist works of Wassily Kandinsky. I used all of his paintings as inspiration for my piece, but this one in particular. 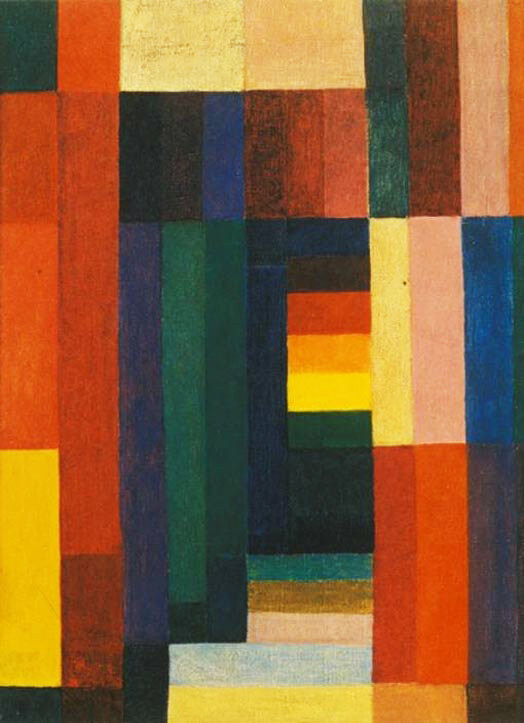 Itten’s work on color is also said to be an inspiration for seasonal color analysis[disambiguation needed]. Itten had been the first to associate color palettes with four types of people, and had designated those types with the names of seasons. Shortly after his death, his designations gained popularity in the cosmetics industry with the publication of Color Me A Season. 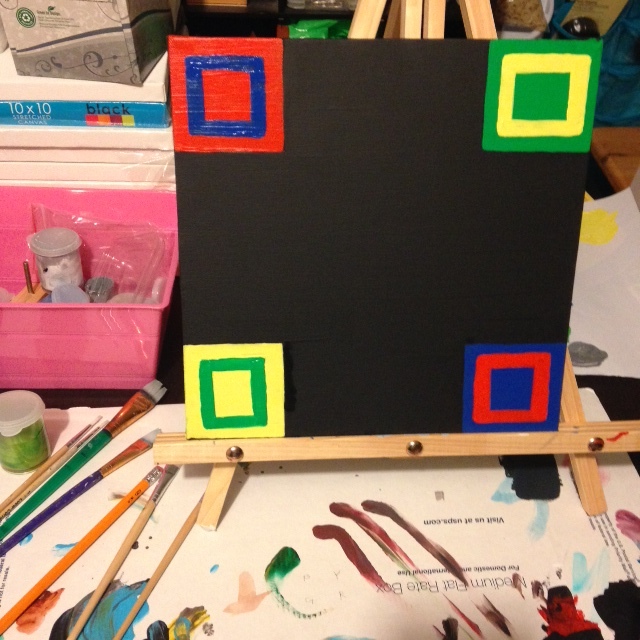 Cosmetologists today continue to use seasonal color analysis, a tribute to the early work by Itten. 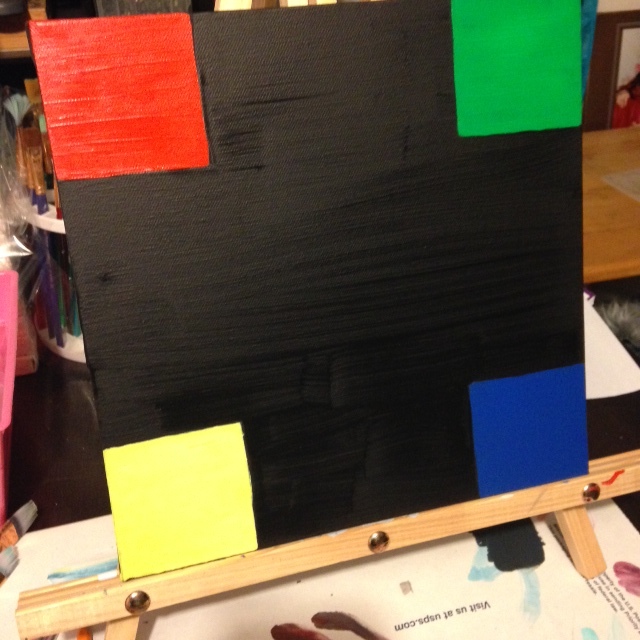 Now I present to you, the tumultuous adventure that brought me to my finished artwork.